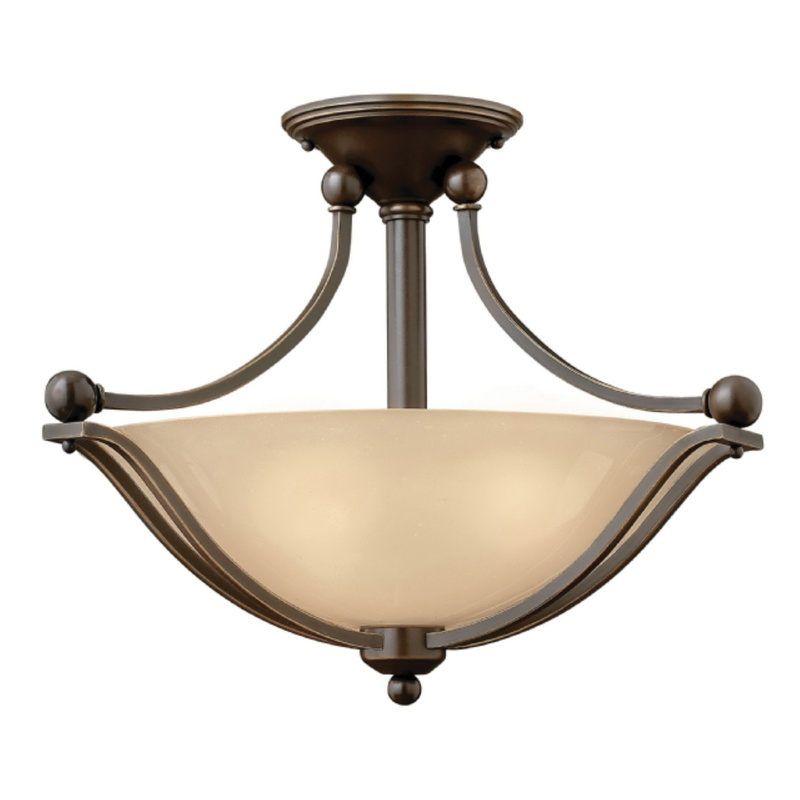 Hinkley Lighting Bolla Collection 2-Lamp foyer semi-flush mount fixture in olde bronze finish, features metal construction. The light amber seedy glass shade of size 16-Inch Dia x 4.5-Inch, brings elegance to the home. This modern/traditional style fixture uses two 100-Watt medium incandescent lamps. It has voltage rating of 120-Volts. This fixture has a dimension of 19.3-Inch Dia x 14.3-Inch. It is semi-flush mounted on to the ceiling using 6-Inch Dia canopy. Fixture is cUS certified.